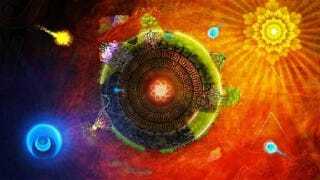 Pop Guru Deepak Chopra's Leela Turns Your Xbox into a "Spiritual Accelerator"
We reported almost a year ago that spiritual teacher Deepak Chopra teamed up with THQ to build a video game that reflects his teachings and practices. Enter Leela, the result of more than 500 prototypes, Peter Armstrong, the director of product development at THQ, tells the Associated Press. Armstrong, the development team, and Chopra worked together to create Leela, which is more a meditative exercise than a game. Chopra wanted to create Leela because he believe that video games can "...accelerate neural development and biological evolution", but only if the focus of the game is shifted from high scores to communication and exercise. In guided meditation mode, Leela uses the Kinect's depth sensor to measure and evaluate your breathing, guided along by the soft voice of a yoga instructor. Armstrong says this is the first time the Kinect is being used to measure the player's well-being, and hopes it will make players more aware of their breathing "in a new way". Chopra hopes that the game will lead to overall well-being, even when you're not playing the game, and believes the future is bright for similar games. "We just have to bring it all together. If we can measure what's happening in your body, your heart, your emotions, your breath and your mind, then there's no reason why we can't create a new generation of video games that can help accelerate the personal, psychological, emotional and spiritual development of human beings." Leela is set to release in the U.S. this November for the Kinect and Wii.